Hardly time to unpack before jetting off again on a very different trip. No birding involved this time although I thought it would be rude not to take my bins. Malcesine was the base for this Italian adventure with Jan my trusty companion and tour organiser and wife. Nice Hotel with views of Lake Garda from our room's balcony. Even with non birding status for the week it was impossible not to notice the Black Kites on their leisurely patrols round the Lake. It was also impossible not to notice the family groups of Red crested Pochards around the lake as we took our daily walk into the centre of Malcesine. 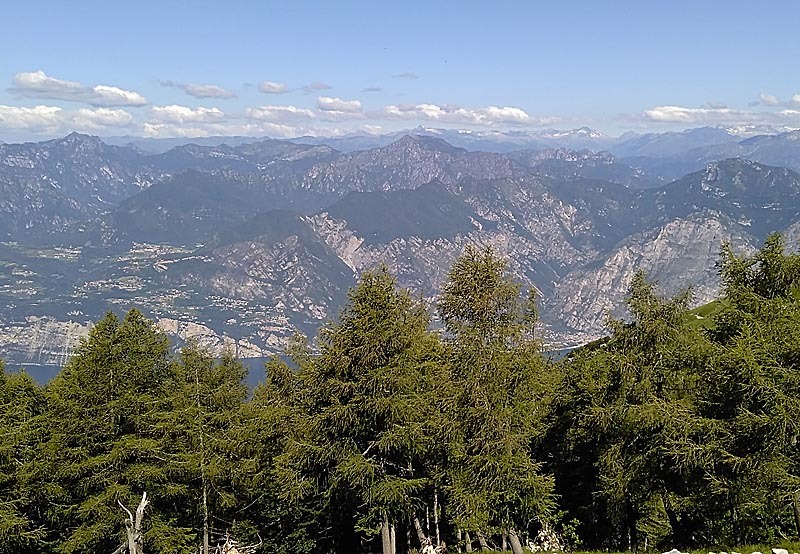 We did some usual touristy things: cafes, castles and Churches but also did a bit of walking above the tree line after an enjoyable Cable car ride to the summit of Mount Baldo. 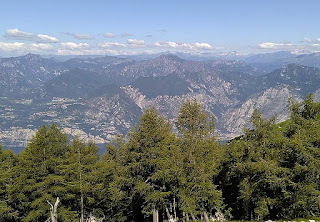 Apart from amazing views in the perfect conditions there was para gliding to watch, coffee to drink and away from the madding crowd there were Marmots to watch and a few Alpine birds: Ring Ouzels, Tree pipits, Black Redstarts, Alpine Chough, Alpine Swift and Fieldfare with Crag Martins at lower levels.